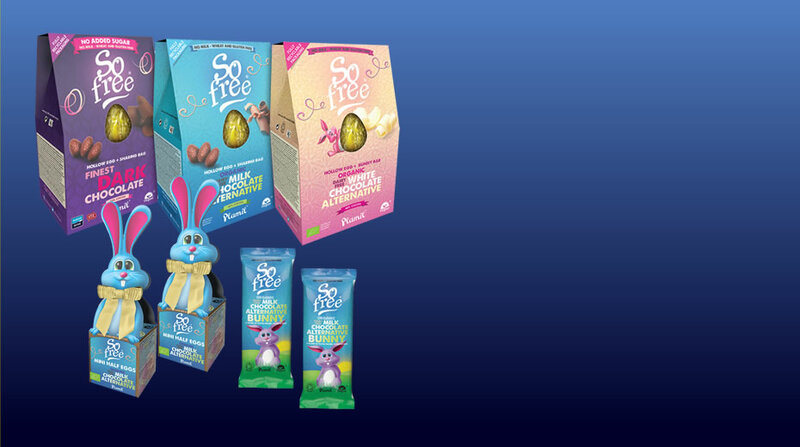 Introducing the So free Easter 2019 range, including three great new dairy free chocolate Easter eggs. Perfect for a vegan Easter! 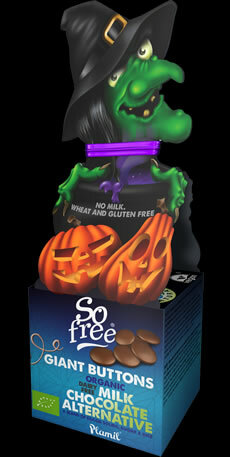 Plamil Foods make So free seasonal chocolate, which has been created to be enjoyed. Certified organic. No milk, no nuts and gluten free, vegan. 100% plant power. Certified organic. Ethically made by Plamil with renewable energy. NEW! 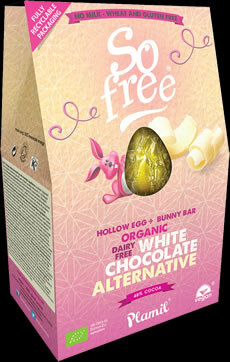 White chocolate alternative Easter egg & bunny bar! NEW! 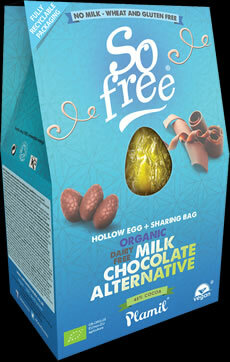 Hollow organic dairy free Easter egg with sharing bag! NEW! 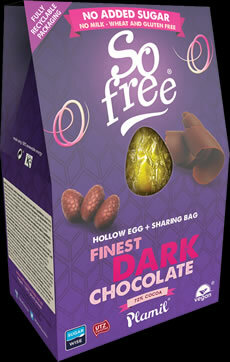 Finest dark chocolate hollow Easter egg with sharing bag! 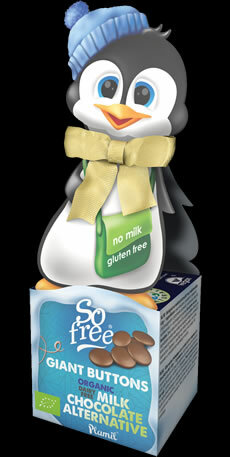 Dairy free milk chocolate alternative mini half eggs. Organic Easter Bunny bar, with all the taste of dairy milk but no dairy. NEW! Contains a pack of chocolate hearts! NEW! Contains a pack of giant chocolate buttons! All the taste of dairy milk without dairy! Contains a pack of giant chocolate buttons! NEW! Cool mint with no added sugar! 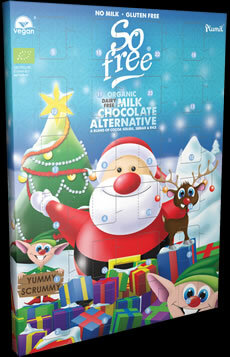 A delicious milk chocolate alternative Father Christmas!